This weekend I am in Las Vegas (not my favorite place) chaperoning my daughter and other dancers at the PULSE dance convention. 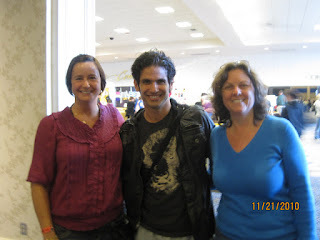 This is from last year when my friend Maggie (on the left) and I accosted Tyce Diorio in the hallway for a photo. You'll know Tyce if you watch So You Think You Can Dance.